The Humane Society of Sarasota and the Taylor Emmons Scholarship Fund Partner in time for the holidays! Taylor Emmons of Lakewood Ranch, FL was a vibrant, nineteen-year old sophomore at the University of Miami, when his life was tragically cut short in the early morning hours of December 5th, 2010. Not only was the impact of his loss felt by his many family members and numerous friends, but in large part by his rescue dog, Bella. All of his life, Taylor William Emmons (for which the Taylor Emmons Scholarship Foundation was established, just days after his passing), had a gift for singling out those in need…and his beloved dog, Bella, was no exception. 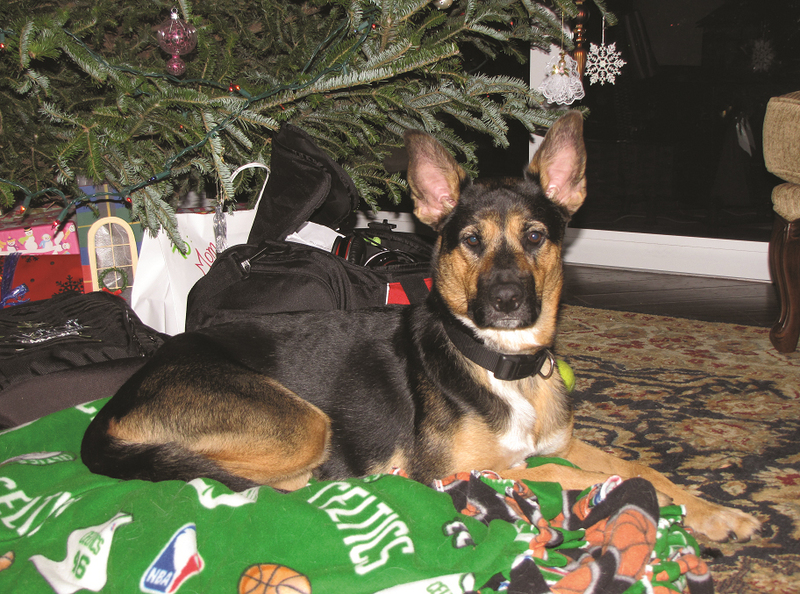 Taylor adopted Bella, a shepherd mix, shortly before returning home for Thanksgiving in 2010 and the two instantly became pals. The Emmons Family have always been avid animal lovers and currently own two yellow labs, Lilly and Brady. When Bella arrived home with Taylor for Thanksgiving dinner, Mike (Taylor’s father), had his reservations. Although Taylor’s love for Bella (and vice versa) was evident, Mike soon convinced Taylor that the college environment was no place to raise a pet. After much consideration, Taylor agreed and took Bella to a local animal shelter. But fate had other plans…unimaginable circumstances that would reunite Bella and The Emmons Family. The day after Taylor’s tragic accident, Mikey (Taylor’s older brother), rallied the family to call the shelter and get Bella back. Even though Bella had already been adopted, the shelter made the necessary arrangements for her to come home and be with Taylor’s family. This gift has given the Emmons Family a living, breathing memento of Taylor’s big-heartedness and another timeless reminder of his wonderful life. With this in mind, Taylor’s lifelong love of animals and devotion to Bella were the inspiration behind this year’s partnership selection for the Taylor Emmons Scholarship Fund’s annual fundraising program. The Emmons Family, along with the Taylor Emmons Scholarship Fund, is pleased to announce the Humane Society of Sarasota County, as the joint beneficiary of proceeds received through the sales of their holiday wreaths for 2014. Start enjoying Christmas in July and reserve your freshly-cut, handmade, holiday wreaths from Taylor’s Trees (a tree farm in Maine, planted by the Emmons Family prior to Taylor’s loss), before the rush of the season hits. If the last two years of sales are any indication, these gorgeous, 22-inch, double-sided, Balsam Fir wreaths will sell out quickly. Anyone interested in supporting these two great causes and receiving a handmade holiday wreath, whether for personal use or as a gift, is encouraged to place orders early! All proceeds from the sale of these holiday wreaths will equally benefit both organizations and help to further their core missions. The Humane Society of Sarasota County (HSSC) is dedicated to the health and welfare of each animal in their care. Their mission is to provide abandoned pets with compassionate care and shelter while promoting responsible pet ownership and securing permanent homes. As the area’s largest no-kill animal shelter, HSSC receives no city, state or federal funding and relies solely on the support of private donations, bequests and grants. Offered programs include pet adoptions, humane education, pet therapy, canine obedience training and volunteer services. The Taylor Emmons Scholarship Fund provides opportunities for socio-economically diverse students to experience an independent, college preparatory education at The Out-of-Door Academy’s Upper School. They will learn in an environment which allows students to strive to achieve their highest academic goals and build character through a balanced program of academics, the arts and athletics. Celebrate the holiday season; celebrate a life – now starting in July! 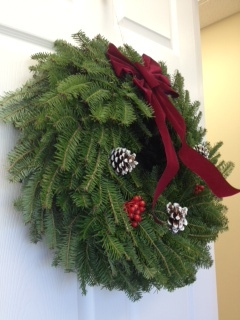 Visit Temmons.org to ORDER YOUR WREATH ONLINE TODAY and be part of supporting two great causes! For more information, please call (941) 915-9249.